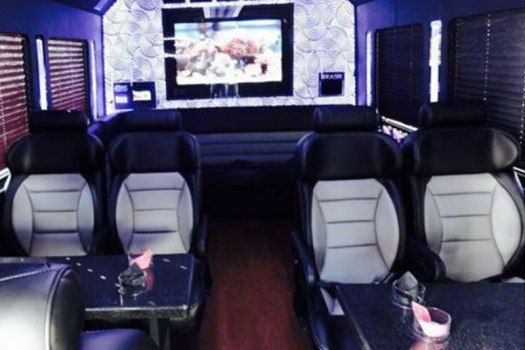 This exquisite party bus is large and in charge when it hits the streets of Myrtle Beach in style with you and your friends aboard for a great night to remember no matter the occasion! This vehicle is our most unique selection and boasts a passenger rating of 15 passengers. With all this luxury, you’re sure to have an unforgettable experience with each and every one of your guests! You'll all enjoy the TVs, comfy seats, tables, along with the standard wraparound seating you expect in a party bus or limousine and more! You wouldn’t expect it, but this bus is another great economical choice when you consider the cost of comparable party buses in the Myrtle Beach area. 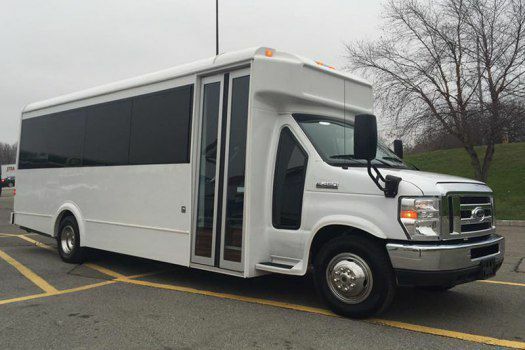 Since this bus is often our first to be booked since it's a one of a kind, you're going to want to give us a call as soon as possible to get your party rolling without any last minute scrambling to find a bus that will even bet able to accommodate your crew! Click or tap here to give us a call!